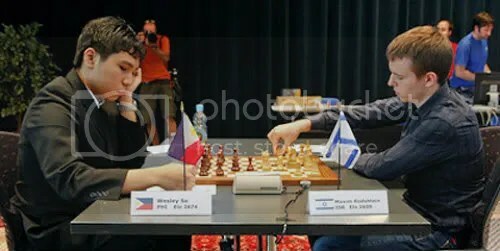 GM Wesley So’s novelty move “19…gxf5” in the Grünfeld Indian @ round 3 game Vs GM Maxim Rodshtein of Israel during the 2010 Biel Young Grandmaster Tournament was adjudged fifth placer in the “Yearbook Novelty of the Year 2010” award. Viswanathan Anand has won the Yearbook Novelty of the Year 2010 award, put up by New In Chess. Anand’s novelty 10.Na3! in the Catalan against Veselin Topalov in their 4th round World Championship match was chosen with the greatest impact of 2010, as it brought Anand his second victory in the fourth match game with Topalov. Read more on the link provided above.